More than 160 systems, (CTS‑6010 variants), have been delivered to the Australian and New Zealand Armies, with Innovasys providing maintenance and calibration support. The VIPER/T is the United States Marine Corps’ current automated test system. Based on the previous generation Third Echelon Test System, the VIPER/T is designed to test and diagnose electronic, electro-mechanical and electro-optical (EO) equipment, assemblies and circuit cards from weapons and radar systems. 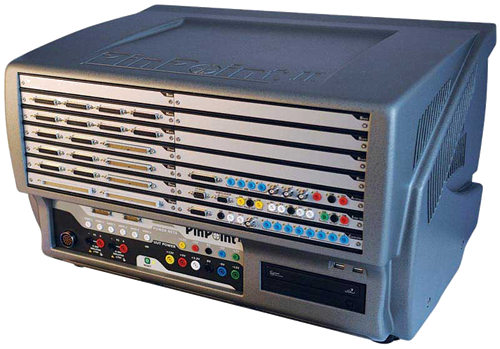 The system features a modular design and includes a virtual instrumentation suite with software-defined RF functional test assets. Configurations offered include the RF system with frequency range to 18 GHz, the EO system for testing optical, infrared and laser based systems, and the RF/EO combined system. The PinPoint IIR provides industry-leading capability for the test and fault finding of the most challenging Circuit Card Assembly. With the ability to apply different test methods at the PCB edge connector or to each IC and device in-circuit through a test clip or Device Test Interface (DTI) you can achieve excellent test coverage and accurate and reliable fault finding.